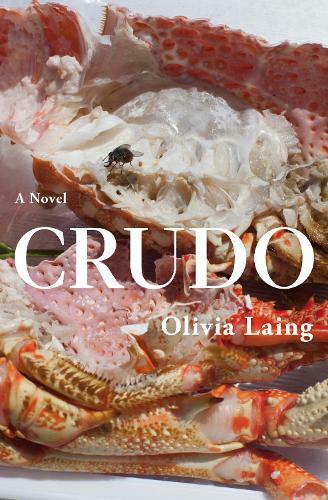 The debut novel from The Lonely City’s Olivia Laing, Crudo merges autobiography and imagination in a story of blistering immediacy and waspish wit. Delivered with an extraordinary, visceral immediacy, Crudo spins a new kind of fiction that speaks directly to our times. Acerbic, witty and daring it’s a novel that asks how - in the face of the overwhelming events of the present-day - we learn to live now. Kathy assessed her life choices. Not bad. She was forty, she had a small diamond on her right hand, she was looking at a mountain, no one was currently in her way… she was doing her best. Kathy is a writer. Kathy is getting married. It's the summer of 2017 and the whole world is falling apart. From a Tuscan hotel for the super-rich to a Brexit-paralysed UK, Kathy spends the first summer of her 40s trying to adjust to making a lifelong commitment just as Trump is tweeting the world into nuclear war. But it's not only Kathy who's changing. Political, social and natural landscapes are all in peril. Fascism is on the rise, truth is dead, the planet is hotting up. Is it really worth learning to love when the end of the world is nigh? And how do you make art, let alone a life, when one rogue tweet could end it all. A British author, critic and journalist, particularly known for her work on art, sexuality and urban life, Olivia Laing writes regularly for the Guardian, Observer, New York Times and the New Statesman. Her books are: To The River, a story of a midsummer journey down the Ouse river, The Trip to Echo Spring, The Lonely City and the 2018 novel Crudo. A snap shot in time? The time period being very recent so the book flowed along nicely as you could place yourself very easily in the surroundings and the current events.